TIBCO is excited to kickoff the sold-out, final TIBCO NOW event of 2017, held at the Hilton San Diego Bayfront through October 26. The event brings together more than 800 customers, technology partners, and thought leaders from across the globe to share innovations for digitally minded enterprises. TIBCO NOW thought leaders spanning a range of industries, from financial services and manufacturing, to travel and tourism, educated attendees on the best methods for leading their companies through digital transformations and elevating their strategic plans to incorporate smarter technology. A room full of financial services business leaders and technologists launched TIBCO NOW San Diego this morning. Few industries have seen as much disruption as financial services. 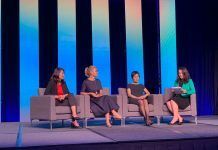 TIBCO and financial service industry experts discussed the historic digital shift and the smart paths to leadership. Digital leaders must understand consumer trends analytically, use powerful technologies to enable shifting channels, and continuously improve customer experience and loyalty. The experts discussed this historic digital shift and the smart paths to leadership. Tom Dadmun of PointFocal joined the session to explain how TIBCO Spotfire helped identify future negative explosions in the business, and helped avoid them. Next door in the Industry 4.0 session, Ahmer Srivastava of Western Digital joined TIBCO to talk about the transforming manufacturing landscape. Western Digital shared their secret to becoming leaders in manufacturing: Spotfire analytics! Attendees learned how to maximize the value of all supplier, process, equipment, and product data by deploying the latest machine learning, streaming sensor data, and real-time monitoring technologies that have the ability to empower entire organizations. Competitive advantages are gained through improved product quality, equipment utilization, throughput, efficiency, and profitability. When is the last time you booked a trip through a travel agency? 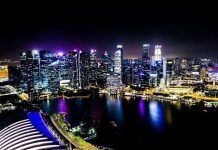 The travel and tourism industry is seeing major digital transformation, leading to improved customer experiences, more efficient operations, reduced disruptions, and optimized staff performance. Mike Schuman of United Airlines Companies shared how their journey toward digital transformation has improved flight operations, baggage movement, and more. Attendees saw first hand the difference United is making through proactive baggage tracking, and discovered how to unleash the true value in their data to stay competitive and drive innovation. 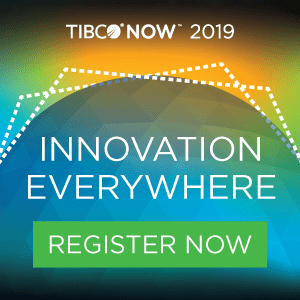 In addition to the morning Industry Perspectives sessions, TIBCO NOW attendees got the inside scoop on how to create the Next Big Thing during the Innovation Session. Next, our new innovation program was presented along with how emerging technologies like blockchain and machine learning can be implemented to change how organizations operate today. A lively conversation between customers took place, which helped all gain insight on how they innovate to achieve better business results. TIBCO NOW attendees also had the opportunity to attend breakout sessions throughout the afternoon. These sessions were presented by TIBCO experts and TIBCO customers who have seen successes in digital transformation. Topics ranged from product updates, architecture deep dives, and best practices. Exams were available for users to become certified with TIBCO solutions, and hands-on labs were held for attendees to get their hands dirty with our solutions. During the event, our Solution Showcase was open for attendees to watch demos, meet customers and partners, and further their learnings from breakout sessions. Mercedes-AMG Petronas Motorsport—the new 4-time Constructors’ Champions—brought their winning car to TIBCO NOW, giving event-goers an up close look at the coolest and quickest data source around. The day wrapped up with a networking reception in the Solution Showcase where everyone at TIBCO NOW met and mingled, and watched this region’s Partner Awards ceremony. Cognizant, Infosys, HCL Technologies, Genware Computer Systems, Linko Mexico, and Logimethods were all recognized for their digital leadership in the Partner Excellence Awards. 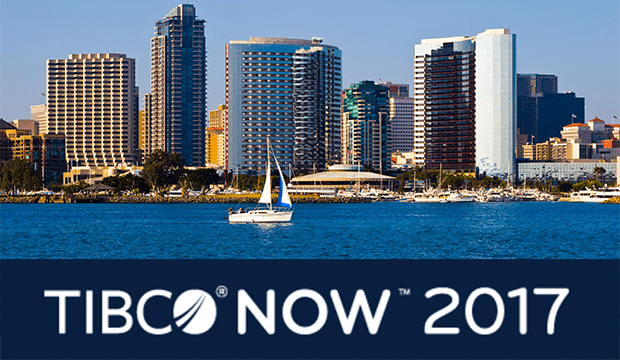 Stay tuned for more coverage of 2017’s third and final TIBCO NOW event here in San Diego, and get connected with us across social networks using #TIBCONOW. Want to attend the next conference? Information will be coming soon about 2018’s event calendar.